Discussion in 'Europe & Russia' started by brain_dead, Sep 27, 2010. Really? Why do you thing so? We have enough of power, my darling. We'll see it soon. All the very best for Russian future. Really? Watch currency graphs at least for year. Nothing special. Thank you. Good future for Russia is a good future for all Eurasia, including India. Thank you, Sweety. Good future for Russia is a good future for all Eurasia, including India. Sahi hai lieutenant, sweety fir sweetu. Btw on topic, India should involve with Russia on economic, social and developmental sphere also. Only military relationship will not stand strong as India is leaning more and more towards west. My user name is my name here. Btw on topic, India should involve with Russia on economic, social and developmental sphere also. Sure. That's why we build you new nuclear plants. The only thing that makes Russia a power is the fact that it has the largest nuclear arsenal in the world. Were it not for this arsenal, any one of the UK, France or Germany could check Russian military adventurism on their own. To say nothing of the US or China. And indeed, Russia needs to throw its military weight around because it does not have much else going for it. The old ideological underpinning of empire, Communism, is gone, replaced instead with crude ethnocentric revanchiste nationalism. And the former industrial and scientific might of the Soviet colossus has been reduced to rubble, replaced by a narrow natural resource-driven economy, controlled by a restricted clique of the President’s friends, while independent entrepreneurialism is either quashed through local political corruption, or absorbed into the black economy. In other words, the economy is in the doldrums, and nobody in Russia is even attempting to address this issue. Rather, even as it is facing some of the toughest economic conditions since the 90s, the state is pumping whatever surplus it can still squeeze out of the energy industry into military spending, with lavish updates of materiel, a boost to nuclear stockpiles (as if Russia did not already have enough warheads to destroy the planet several times over), and continued operations in Ukraine and Syria. 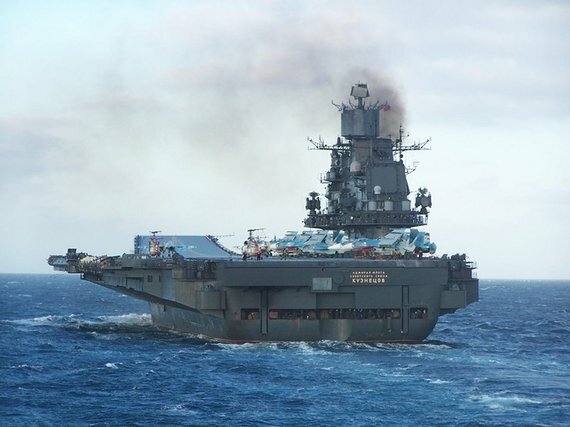 But the poor state of the Russian military was evident in December 2011, when Russia deployed the aircraft carrier Admiral Kuznetsov to the Syrian coast. The U.S. Navy’s Sixth Fleet was forced to keep a close eye on it in case it actually sank, and a rescue operation was needed to arrest dangerous material floating around or sinking into the sea. In fact, one former US General told me that a single US Super Aircraft Carrier Group could obliterate the entire Russian navy, as their equipment is so dated and technology obsolete. Such is the sorry state of this once great power. The only thing that makes Russia a power is the fact that it has the largest nuclear arsenal in the world. Were it not for this arsenal, any one of the UK, France or Germany could check Russian military adventurism on their own. To say nothing of the US or China. And indeed, Russia needs to throw its military weight around because it does not have much else going for it. Dreams, sweet dreams... In last year Russia made more tanks and battle jets that USA. Why did you delete some of my posts? Sorry, @Sweet-detention , I can not delete your posts, becouse I'm not moderator. I'm sure, you will repeat it even after our returning of Alaska. And yes, American special forces know, that Russian weapon is best. They suggest to Yanks comapnies to copy it. Why would U.S. special forces want to manufacture Russian machine guns? Just watch any video of a conflict such as Iraq and Syria, and the answer becomes clear. Many of the combatants are using Russian or Soviet weapons, or local copies thereof, from rifles to rocket launchers to heavy machine guns mounted on pickups. Which means that when U.S. special forces provide some of these groups with weapons, they have to scrounge through the global arms market to buy Russian hardware as well as spare parts. So U.S. Special Forces Command, which oversees America’s various commando units, has an idea: instead of buying Russian weapons, why not build their own? That’s why USSOCOM is asking U.S. companies to come up with a plan to manufacture Russian and other foreign weapons. The goal is to “develop an innovative domestic capability to produce fully functioning facsimiles of foreign-made weapons that are equal to or better than what is currently being produced internationally,” according to the USSOCOM Small Business Innovation Research proposal. However, USSOCOM won’t make the process easy by providing assistance such as technical drawings. Interested companies will have to make their own drawings of foreign weapons, acquire the appropriate parts and raw materials, and create a manufacturing capability. Companies will also have to “address the manufacture of spare parts to support fielded weapons.” In addition, they must be prepared to start up and shut down production as needed, as well as provide varying quantities of weapons. Though USSOCOM is starting with a pair of Russian machine guns, the research proposal speaks of foreign-made weapons in general. “Developing a domestic production capability for foreign-like weapons addresses these issues while being cost effective as well as strengthens the nation’s military-industrial complex, ensures a reliable and secure supply chain, and reduces acquisition lead times." One wonders whether there could be a copyright issue with producing Russian weapons in America without a license, though Russian and Chinese spies haven’t been reticent about helping themselves to U.S. technology. Either way, it seems like a sensible and economical idea to produce foreign weapons in America, rather than having to procure them from unreliable or unsavory international arms merchants. Russian engineers are designing new advanced airships which may become a potent element of the country's anti-ballistic missile defenses. On May 6, 1937, the German passenger airship Hindenburg crashed in the US during a docking attempt, dealing a critical blow to the public's faith in this method of transportation. And yet despite the fact that mankind has since perfected other methods of airborne transportation, blimps and dirigibles are still being used for a variety of purposes including military ones, and Russian Armed Forces are no exception. Airships have a considerable number of advantages: they can carry a considerable amount of payload over vast distances without landing; they can stay in the air for far greater periods of time than aircraft and helicopters and spend a lot less fuel in the process; and they're very reliable. Also, airships don't require runways for launch. They do have their drawbacks, of course, as airships are much slower than aircraft (top speed up to 160 kilometers per hour) and have low maneuverability. In 2015 Vladimir Mikheev, advisor to the first deputy head of Radio-Electronic Technologies Concern (KRET), revealed that the company started working on a new type of airship that may well become a full-fledged component of Russia's early warning system. "The distinct advantage of an airship is its large surface area where you can install antennas. These locators could track ICBM launches and warhead trajectories. KRET is developing the electronic 'payload' while the airship itself is being designed by Augur-RosAeroSystems," Mikheev told RIA Novosti. The new multifunctional airship, Atlant-30, is expected to make its first flight in 2018. The airship will be able to carry up to 170 tons of payload and operate at altitudes up to 10,000 meters, allowing it to detect enemy warheads at the boost and final stages of their flight trajectories. Furthermore, the airship's high cargo capacity - Atlant's largest modification is expected to be able to airlift up to 3 fully-equipped T-90 main battle tanks or 8 BMP-3 infantry fighting vehicles - make it a capable transport carrier. Augur-RosAeroSystems is also developing another airship, Berkut, which may become a potent communication and surveillance tool. Equipped with advanced solar panels and energy conservation systems, Berkut is expected to operate at 20-23 kilometer altitudes for up to four months without landing. 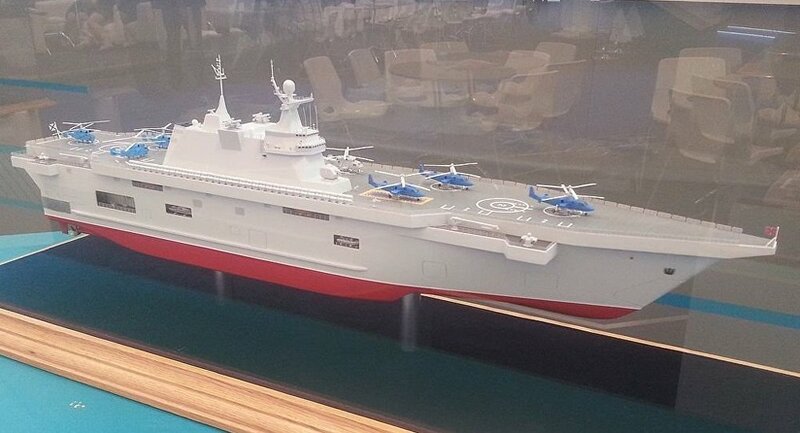 Berkut's primary goal will be aerial photography, surveillance and communication, but the airship could also be employed for more militant pursuits like electronic warfare, target designation and air defense. 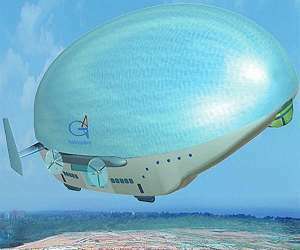 It should be noted that stratosphere airships may become a cheap and efficient replacement for communication satellites, both civilian and military, as a blimp soaring at an altitude of 20 kilometers can provide communication coverage at 760-kilometer radius.